0600 in the main car park, Sat, Sun & Bank holidays. Fully operational. See Facebook for details, or contact us directly. 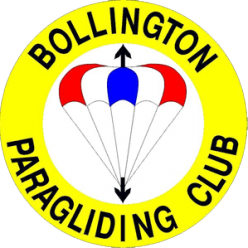 We are a small group of enthusiastic paragliding pilots who are able to share the opportunity for excitement, thrills, pleasure and challenge, offered by the sport of paragliding. We operate at Barton Aerodrome, Manchester, Saturday & Sunday mornings. We meet in the car park, weather permitting. Bank holidays, too. We normally operate from around April, to somewhere around October/November. In summer, we try to get some in, in the evenings.